Need to find the truth? We can help! Here at Private Detective Nottingham we can conduct a lie detector test giving you the facts. We cover the whole of the Nottingham area. Whether you have been accused of being unfaithful in Arnold, steal at work in Clifton or gossiping in Bulwell, we can help clear your name. 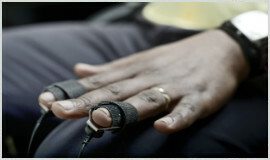 The price for a lie detector test in Nottingham is from £499 + Vat when conducted from the comfort of your own home. Call our Nottingham on 0115 832 0068, to book a lie detector test with an expert Nottingham based full qualified polygraph examiner or email us on contact@privatedetective-nottingham.co.uk. We conduct our lie detector test services across Nottingham, Clifton, Bulwell, Cotgrave, and Arnold.